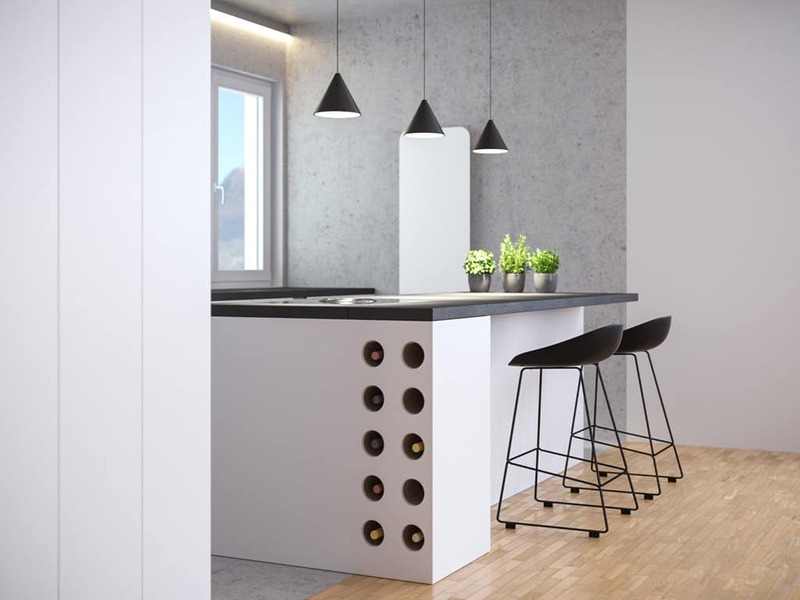 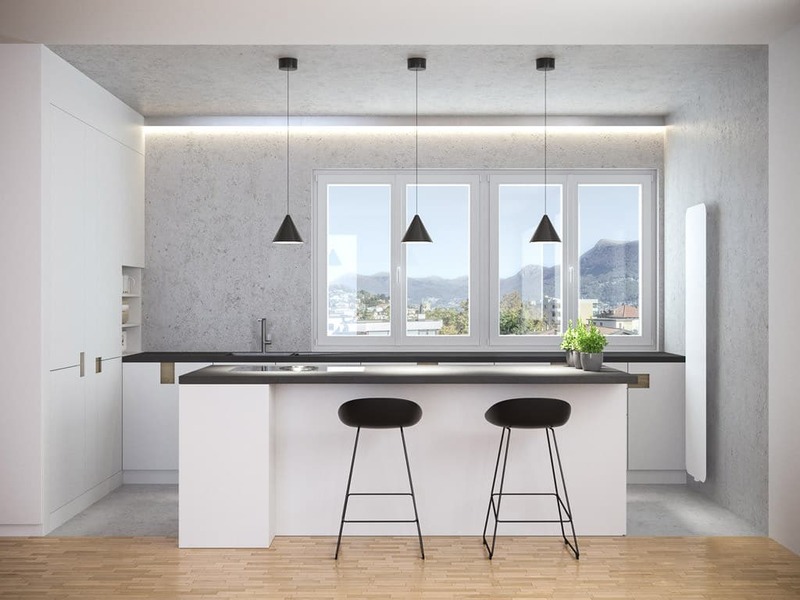 The project consists in the construction of a new open kitchen and kitchen island, by demolishing an existing wall that used to separate it from the rest of the house. 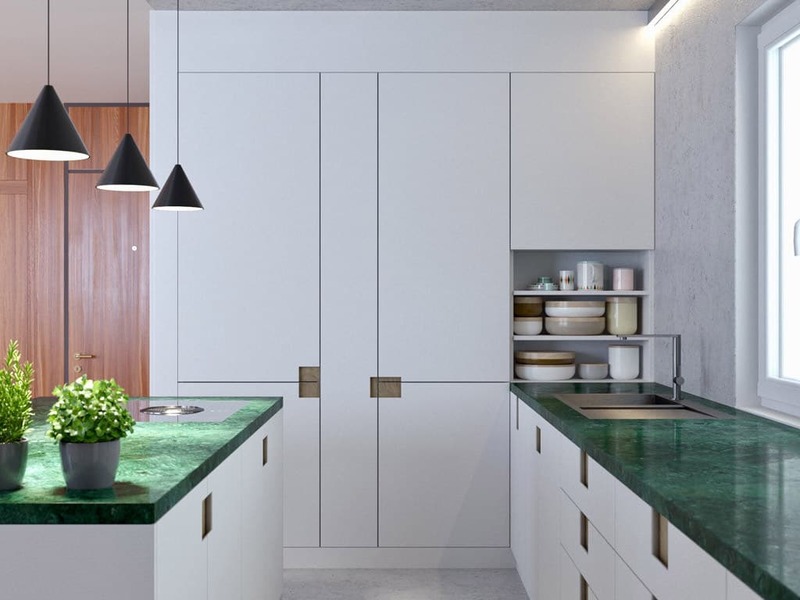 The kitchen area, is therefore marked as a new pocket within the large living room through the use of contrasting materiality. 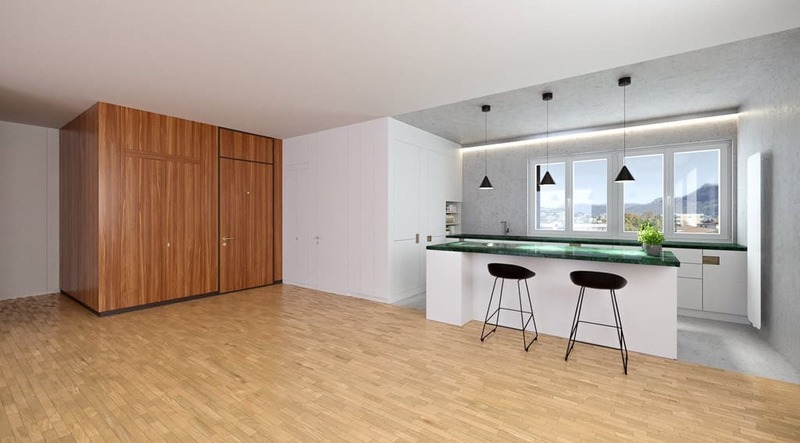 Completing the renovation, the existing broken down boiserie has been eliminated and full height doors have been installed in each room.